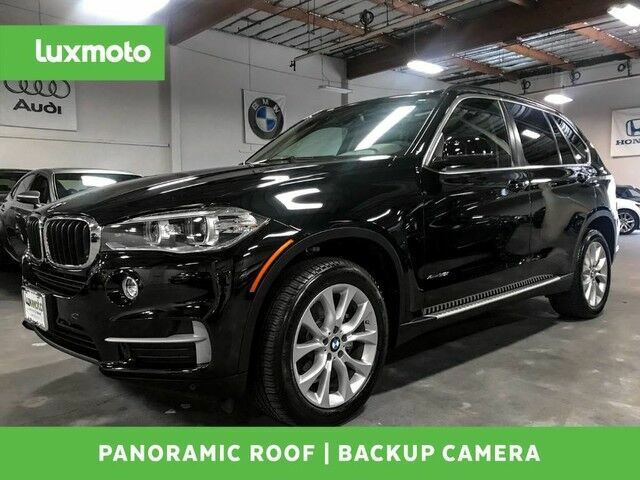 **Carfax 2-OWNER**, **FACTORY WARRANTY**, **CLEAN CARFAX**, BMW X5 xDrive35i, **AWD ALL WHEEL DRIVE**, **NAVIGATION**, **SURROUND VIEW BACK UP CAMERA**, **PANORAMIC MOON ROOF**, **HEATED SEATS**, **SATELLITE RADIO**, **MUSIC STREAMING**, **ENHANCED BLUETOOTH**, **SMARTPHONE INTEGRATION**, **USB & AUX PORTS**, Dual Power Front Seats with Lumbar and Driver Memory, Xenon Adaptive HID Headlights, LED Fog Lamps, Power Tilt/Telescopic Steering Wheel, 19" V-Spoke Wheels, Universal Garage Door Transmitter, Dual-Zone Automatic Climate Control, BMW Professional HiFi Audio System with AM/FM/DH/SirrusXM/CD/MP3/DVD Stereo, Connected Drive Services, Real Time Traffic, Rain Sensing Wipers, Power Rear Lift gate and much more. Come take a closer look at this Fabulous X5 in our Indoor Showroom. BMW's X5 offers seating for seven with loads of tech on- and off-road capabilities. With great styling as well as a host of refinements throughout its development, the X5's package is hard to ignore. Although it ranks among the more expensive SUVs in its class, it's a strong competitor, offering a wide range of options not found on the Acura MDX, Lexus RX 350 or Mercedes GL-Class. Strengths of this model include BMW luxury and build quality, available all-wheel drive, and powerful engine choices.